The French EMN NCP is the Secretary General for Immigration and Integration of the Ministry of Interior, (Ministère de l'Intérieur), represented by the Head of the Department of Statistics, Studies and Documentation. The FR EMN NCP is composed of three full-time and one part-time staff. 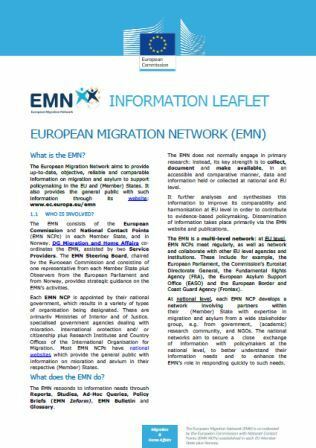 The Department of Statistics, Studies and Documentation facilitates access to statistics and data on migration and asylum, required for the elaboration of EMN outputs.